At Let’s Talk, we don’t just accept difference - we celebrate it, we support it, and we thrive on it for the benefit of our employees, our products and our community. Whether guiding students, building course content, growing businesses or helping to keep Let’s Talk going, we do cool stuff that matters.Let’s Talk Institute has established and maintained its excellent reputation by employing skilled team members who are carefully chosen for their qualifications, varied backgrounds and experience, and sensitivity to learners’ needs. Many have worked in-company, in many different parts of the world. They have the skills and experience necessary to offer our demanding range of courses. Browse through our teams and roles to find the best fit for you. If you enjoy working with people and helping them realise their language learning goals, being a course adviser could be a great job for you. As a course advisor you will provide information, advice and guidance to help students make realistic choices about their English language course. You will deal with a range of students, from academic students over the age of 11, up to adults who may want to enhance their English communication skills or need help with soft skills. Course advisers usually work 48 hours a week, Monday to Saturday, but they may be required to be flexible with the hours and some may need to do evening or weekend work depending on the learning centre they’re employed. There are opportunities for part-timers but this varies from centre to centre. familiarity with basic computer knowledge. Centre managers are responsible for organising all of the administrative activities and sales that facilitate the smooth running of a learning centre. They must make sure that required sales targets are achieved, office equipment is maintained, student records are up to date and that all administrative processes work effectively. The office manager may carry out most of the tasks themselves, while in others they will supervise the work of a team of staff. Although the work of a centre manager differs greatly across centres, they all have the responsibility for ensuring that their centre runs efficiently. Job titles vary and office managers typically enter at centre administrator level and work their way up with experience. Looking for the sales and revenue of the centre. Let’s Talk believes in providing the best of lessons to its student community. With over 2.5 million subscribers, share your skills and knowledge with the community. 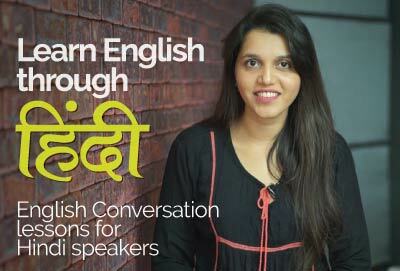 Be a part of Let’s Talk’s Youtube channel network and earn attractive perks. The trust subscribers have shown in us when they choose us to learn English is very important to us. We won’t ever take it for granted. That is why we are looking for great English teachers ( like you) to deliver awesome lessons filled with enthusiasm. If you feel you can make a difference with your expertise, fill in the form below and our team would connect with you soon to get you on board. Involves teaching adults and children whose first or main language is not English. This can be done in the classrooms or at companies and the students may be learning English for either business or leisure reasons. Trainers use a range of course books and materials, plus a variety of audio-visual aids. A strong emphasis is placed on dialogue and role-playing, but more formal exercises, language games are also used. The content of lessons varies depending on the reason why the students are learning English, e.g. whether it’s for business, Improving social status, or just for fun and so on. The aim of each lesson is to encourage the students to communicate with each other using the structures and vocabulary they’ve learnt and to improve the four basic language skills of listening, speaking, reading and writing. Working hours vary considerably between centres and may include late evening and weekend work. A considerable amount of time is also spent on planning lessons, which may not be included in your normal working hours. Business development executives sell a Institute’s products and services. Customers include individuals, businesses and government organisations and sales may be domestic (within the country) or international, or a combination of both. As well as approaching potential customers with the aim of winning new business; sales executives work to maintain good relationships with existing clients, gaining repeat business wherever possible. Typical work activities are focused on business expansion through franchise network and selling training services to corporate clients. Corporate sales involve selling services and institute’s learning programs to companies, Institutions and government agencies. This is a typical avenue for graduates. Fluency in regional language can be helpful.